Cropped image of a young man holding basketball against black background. 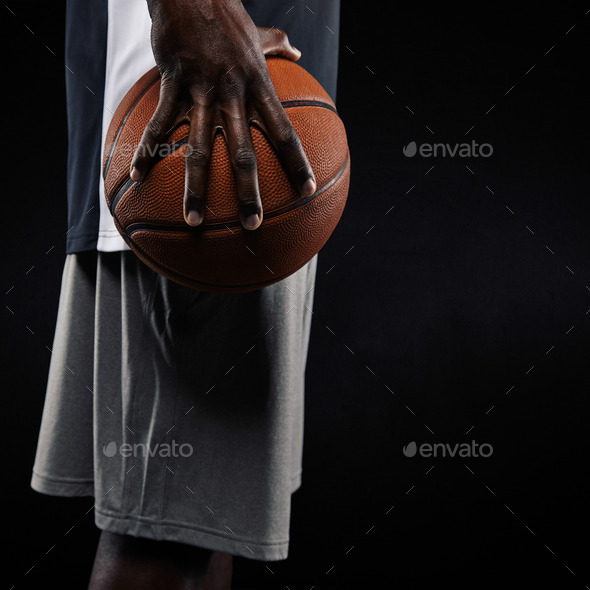 Mid section image of african basketball player holding ball. Focus on hand.